The FCC released the “white spaces” – the unused spectrum between broadcast television channels — will lead to a so-called “Super Wi-Fi” or “Wi-Fi on steroids.” This means we will have “80 Mbps and above long-range wireless speeds and 400-800 Mbps short-range wireless networks. Perhaps this means that wireless Internet can now actually be “faster than a speeding bullet, more powerful than a locomotive and able to leap tall buildings in a single bound﻿”. Google chipped in to utilize the bandwidth. 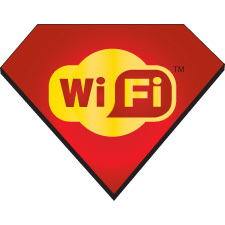 Very soon we will access WiFi like we get radio signal: everywhere!